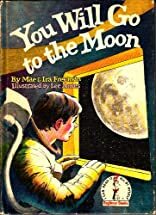 An easy-to-read introduction to space flight tracing a manned rocket trip to a space station and the moon. About Mae Blacker Freeman (Author) : Mae Blacker Freeman is a published author. Some of the published credits of Mae Blacker Freeman include You Will Go to the Moon, Finding Out About the Past.